Harvested at the peak of perfection in Leelanau County. EveWe grow the much sought after flavorful Earliglow strawberry, followed by the ever so perfect Jewel. 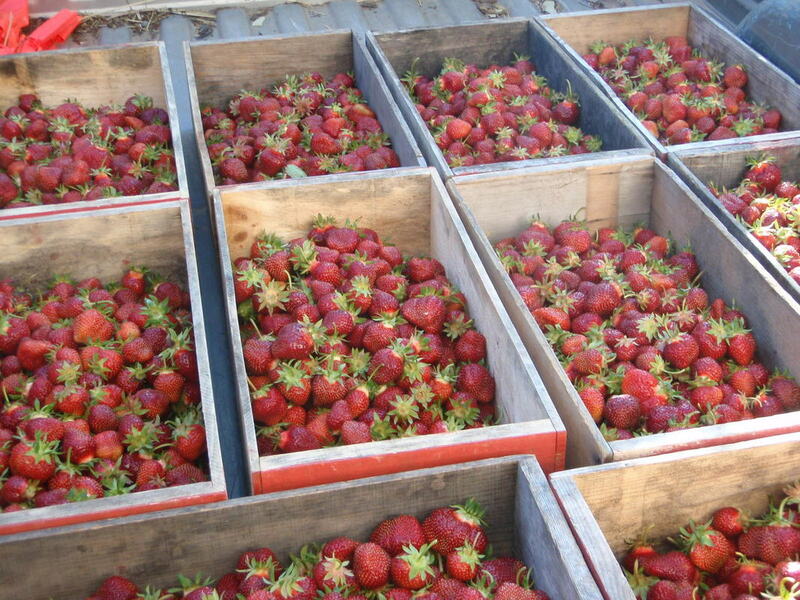 Strawberry Season usually starts in mid-June and runs through about the 4th of July. Every year is different, but you can find out easily by following Bardenhagen Berries on Facebook or Instagram. Specializing in fresh market, stem-on cherries. We grow over twenty varieties of sweet cherries, extending our harvest season up to 2-3 weeks, depending on the year. We especially love the Balaton!